At 11:21 a.m. on September 7, 2018 (in Mountain Daylight Time, 2:21 a.m. on September 8, 2018 in Japan Standard Time), the solar observing rocket FOXSI-3 (Focusing Optics X-ray Solar Imager) was launched from the launch site located at White Sands, New Mexico, USA. FOXSI-3 flew in a ballistic trajectory for about 15 minutes reaching a maximum altitude of about 300 km. It observed three different solar corona regions with different X-ray brightnesses, such as "active regions", "quiet regions", and the "solar north pole" for 6 minutes. All observation instruments installed on FOXSI-3 worked properly. They succeeded in focusing imaging spectroscopic observation (*1) of the solar corona in soft X-rays for the first time in the world. Researchers have just started to analyze the observational data, but they have found that more than 1,000,000 soft X-ray photons have been detected. Please expect significant science results. 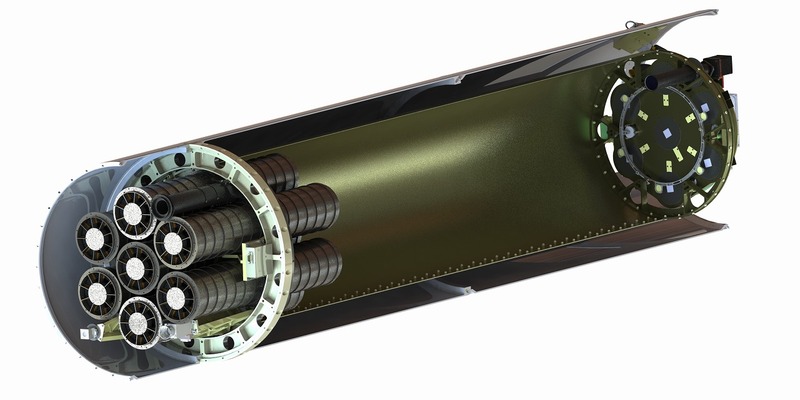 FOXSI (Focusing Optics X-ray Solar Imager) is a US - Japan cooperative sounding rocket experiment that observes X-rays emitted from the solar corona through focusing imaging spectroscopic observations. FOXSI-3 was the third flight. FOXSI-3 has seven telescopes consisting of grazing-incidence mirrors and detectors. 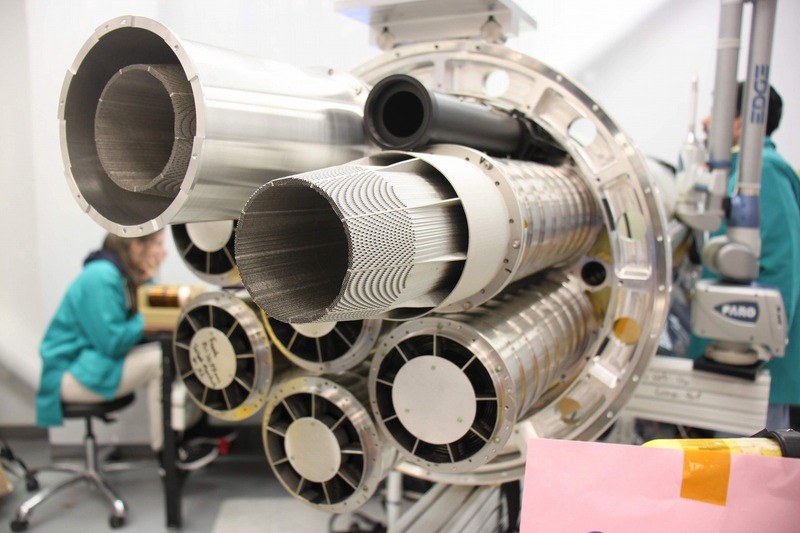 Researchers can observe X-rays in a wide range of energies by changing the number of mirrors and the type of detectors. Six of the telescopes have focal plane detectors developed by the Japanese FOXSI team to observe the hard X-ray region (mainly the high energy region of 4 keV to 20 keV (* 2)). These detectors were also installed on the previous two FOXSI flights and generated scientific results. The newly adopted instrument in FOXSI-3 is a soft X-ray camera with a back‐illuminated CMOS sensor (detector) for imaging spectroscopic observation in the soft X-ray range (mainly the low energy region from 0.5 keV to 10 keV). It is installed on the remaining telescope. FOXSI-3 is the first in the world to observe the solar soft X-ray region from 0.5 keV using focusing imaging spectroscopy. With these seven telescopes, it is possible to investigate the details of ultra-high temperature plasma (* 3) and nonthermal plasma (* 4) in the solar corona. 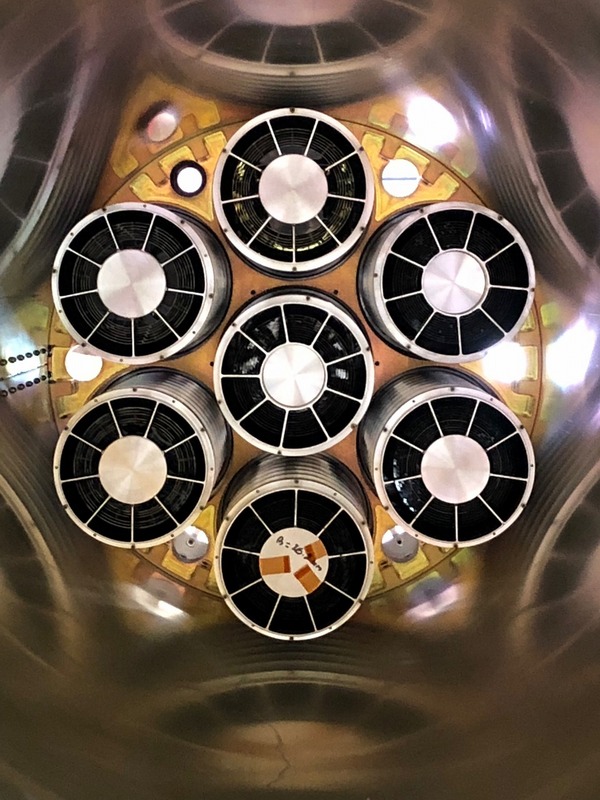 The scientific purpose of FOXSI-3 is to understand the high-energy phenomena (energy release, particle acceleration, heating, etc.) in the solar corona. One of the topics of investigation is the contribution of "nano-flares" to the coronal heating problem (* 5). Nano-flares are extremely small flares about one billionth the size of normal solar flares. Nano-flares are thought to be one of the leading candidates for heating the solar corona. Normally, the temperature of the corona is about several million degrees, but it is thought that when nano-flares occur, high-temperature plasma of 10 million degrees is generated. In the future, we will analyze the data in detail and investigate whether the high temperature plasma of 10 million degrees permanently exists in the solar corona. Analyzing this will improve our understanding of the contribution of nano-flares to the coronal heating. 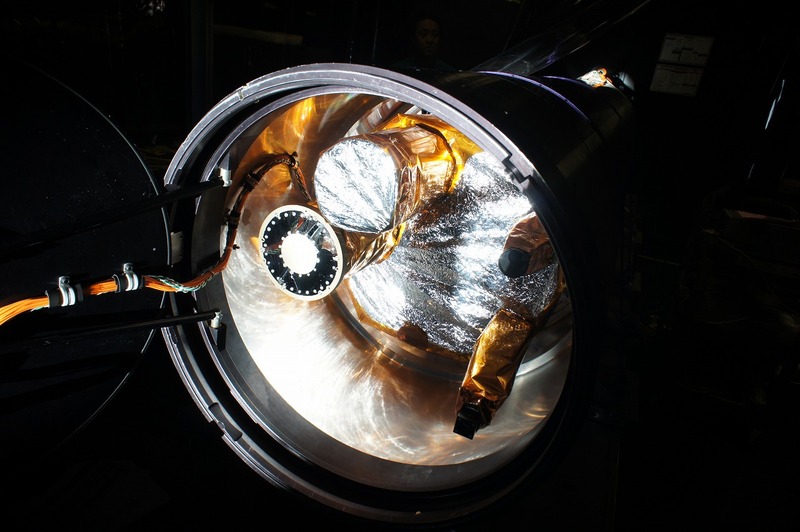 Moreover, FOXSI-3 is a scientific and technical demonstration experiment for a future satellite mission aiming to understand the particle acceleration (* 4) in solar flares. FOXSI observation instrument. It consists of 7 telescopes (left side) and 7 detectors (right side). Seven detectors. One of them is a detector for observing in soft X-rays (the top one in the photo), the others are for hard X-rays. 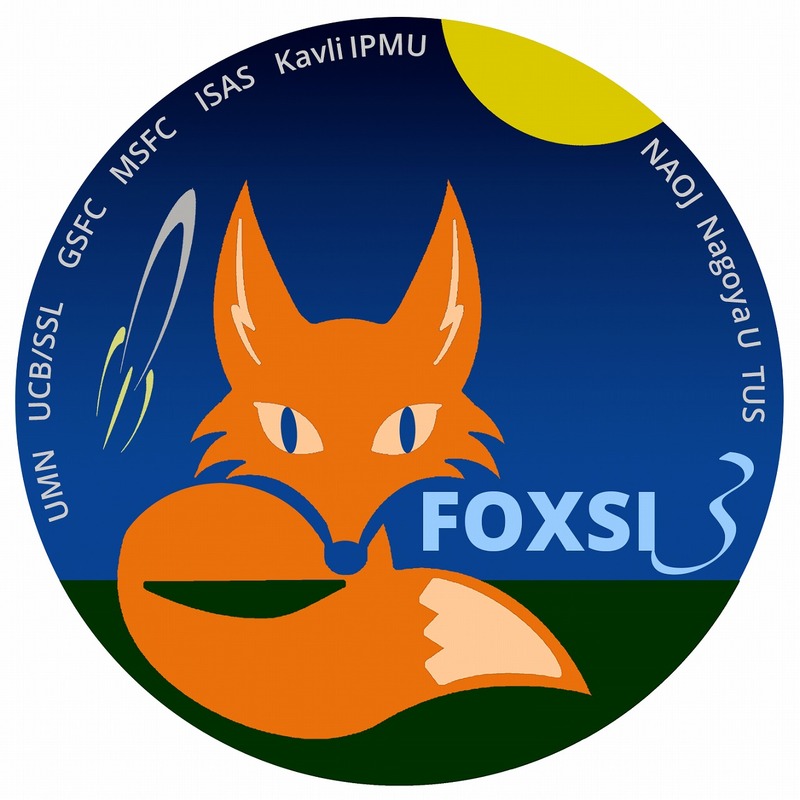 The logo of FOXSI-3. The fox is the mascot character. 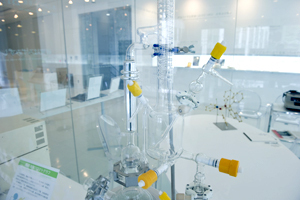 Japanese Leading-edge Technology is used in FOXSI-3. A two-dimensional imaging spectroscopic observation done by photon counting (* 6) of the Sun's soft X-rays requires a camera capable of high-speed continuous imaging. Dynamic phenomena in the solar corona have short lifetimes (several tens of seconds to several minutes), but it would take longer (about several hours) to collect the number of photons necessary to make the spectrum using a CCD that requires about one second for one exposure and readout. Therefore, Noriyuki Narukage, NAOJ Assistant Professor, and Shin-nosuke Ishikawa, a researcher at Nagoya University, developed a high-speed X-ray camera that can capture 250 images per second by using the back‐illuminated CMOS sensor. With FOXSI-3, they imaged the soft X-rays of the Sun and performed spectroscopic observation simultaneously for the first time in the world. Backside‐illuminated CMOS sensor for soft X-rays. Camera electronics for the CMOS sensor. They process and store a large amount of data (about 160 MB) in one second from the CMOS sensor (green circuit board). Arcsecond level high spatial resolution is required when observing the Sun. However, the resolution of previous hard X-ray detectors was several hundred micrometers on the focal plane (corresponding to a spatial resolution of tens of arcseconds on a telescope with a normal focal length). This was insufficient for solar observation. Tadayuki Takahashi, a professor at Kavli IPMU of the University of Tokyo, and others have realized the world's highest resolution of 60 μm. They imaged with arcsecond level spatial resolution and captured the spectrum in the hard X-ray range at the same time. The CdTe detector has 100% sensitivity to hard X-rays, opening up new possibilities for solar observation with high resolution. The grazing-incidence mirror used in FOXSI collects not only the light from the direction where the telescope is facing but also the light from places more than 18 arcminutes away. In order to eliminate this unnecessary light (stray light), the team fabricated a stray light shielding structure with many holes and an aspect ratio of 1: 190 (=diameter: height) corresponding to the 18 arcminutes. 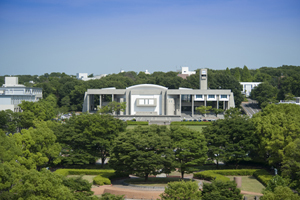 Since it is extremely difficult to fabricate structures with such high aspect ratios through machining, Noriyuki Narukage, NAOJ Assistant Professor, and others developed it using the latest technology: a 3D metal printer. Stray light shielding structure installed on the FOXSI-3 telescope (pre-collimator). Observing in soft X-rays required a filter that fully blocks the intense visible light from the Sun and sufficiently transmits soft X-rays. You can use metal to shield visible light, but when it is too thick, soft X-rays with low energy cannot penetrate it. In other words, an aluminum filter which is extremely thin, only 150 nanometers thick, having a uniform thickness without tiny tears (holes) was needed. 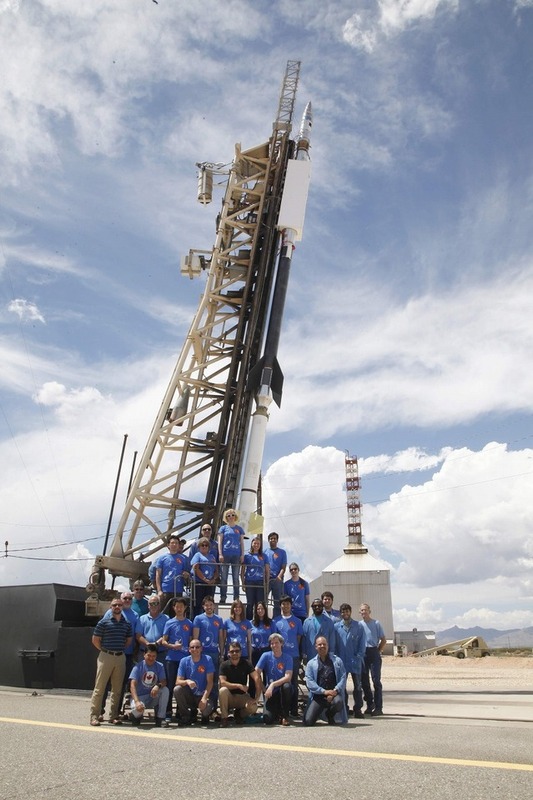 In addition, it was also necessary to ensure that it would not be torn by the rocket launch vibrations. 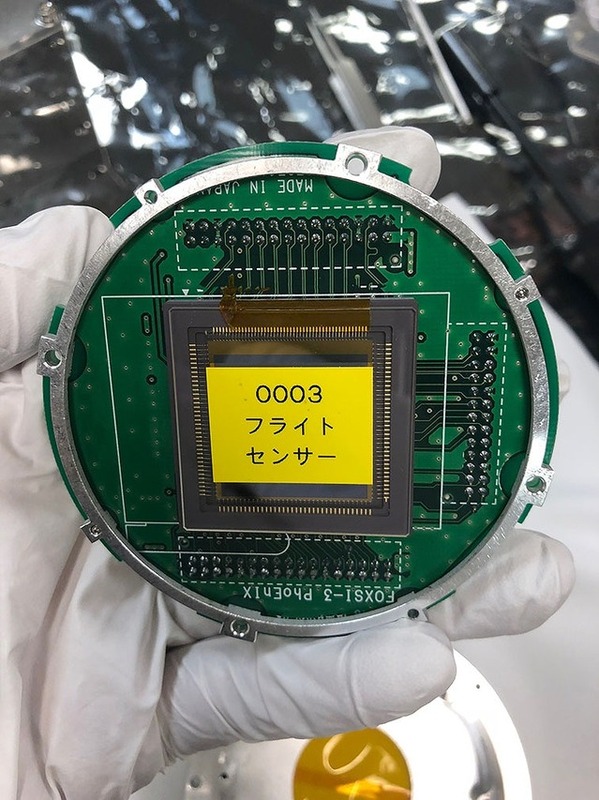 The group of Ikuyuki Mitsuishi, an assistant professor at Nagoya University, developed this difficult filter and succeeded in observing soft X-rays using FOXSI-3. 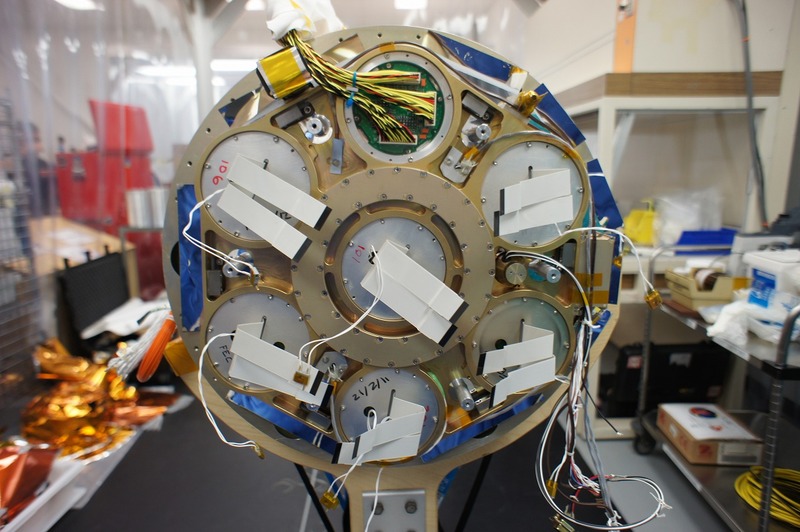 FOXSI-3 collects X-rays with mirrors that steer them to detectors. The detectors conduct simultaneous imaging and spectroscopy. Spectroscopy means sorting the electromagnetic waves (here, X-ray) by energy. Imaging spectroscopic observation, which conducts imaging to get spatial information and spectroscopy to get information about energy simultaneously, is an effective means to obtain physical information about phenomena. 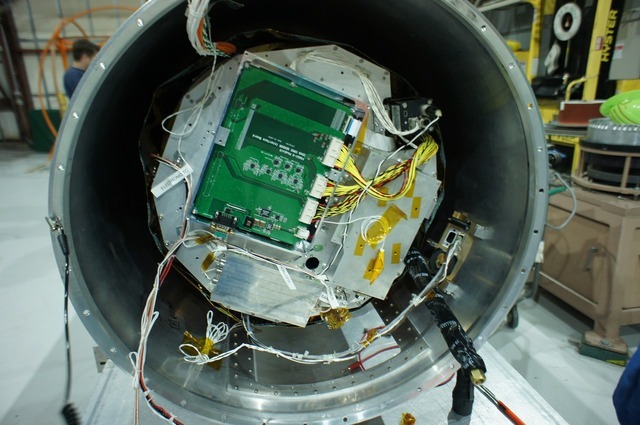 FOXSI-3 has a great advantage in that it conducts imaging spectroscopy so fast that it can also trace the time changes of phenomena. The unit of energy used in high-energy physics. 1 eV is the energy that an electron is given when we apply a voltage of 1 V to it. 1 keV is 1000 eV or approximately 0.1602 × 10-15 J. Plasma is a state of matter where electrons and ions exist separately due to the high temperature. Plasma in steady state (equilibrium), the situation which can be described by temperature, is called thermal plasma. On the other hand, rapidly accelerated plasma particles cannot be described by temperature and they are called non-thermal plasma. The plasma temperature and the particle acceleration, which is the generating factor of non-thermal plasma, can be investigated in detail by spectroscopic observation in X-rays emitted by the plasma, which gives us the energy distribution of the X-ray intensity (the X-ray spectrum). While the temperature of the solar surface is about 6000 degrees Kelvin, the temperature of the corona, the upper atmosphere, is more than 1 million degrees Kelvin. Because the Sun's energy is generated at its center, it is very mysterious that the corona, which is more distant from the center, is much hotter than the surface. 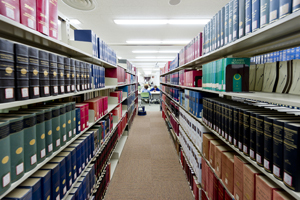 How the corona is heated is one of the most important research subjects in solar physics. Photon counting is one of the methods of spectroscopy for high energy electromagnetic radiation (X-ray, gamma-ray, etc. ), by measuring the energy of every photon one by one by detectors. By using two-dimensional detectors, imaging can also be conducted which allows us to obtain the spatial information simultaneously. JSPS KAKENHI Grant Numbers JP18H03724 (PI: N. Narukage), JP17H04832 (PI: S. Ishikawa), JP16H02170 (PI: T. Takahashi), JP16H03966 (PI: S. Watanabe), JP15H03647 (PI: N. Narukage), JP24244021 (PI: T. Takahashi), JP21540251 (PI: N. Narukage) and JP20244017 (PI: T. Takahashi) (in the order of grant start year).